Safety prescription eyewear is important for a wide range of reasons. Simply put, you need to make sure that you protect the most sensitive part of your body as you work in dangerous conditions. Glasses that follow OSHA regulations as well as your company’s guidelines, while also offering the prescription you need to see clearly at all times, are absolutely essential. And yet, even these precautions might not be enough. OSHA estimates that thousands of people get blinded by workplace accidents every year in preventable situations. The proper selection of safety eyewear could have prevented many of them. However, of the injured workers, 40% were wearing safety glasses. Where is the disconnect? The conclusion is clear: not every bit of safety protection equipment is created equal. You have to make sure that you don’t just cover the basics, but adjust your protection to fit your individual situation and needs. Sometimes, that means buying not just safety glasses, but prescription safety glasses with foam gaskets. What are Prescription Safety Glasses with Foam Gasket? 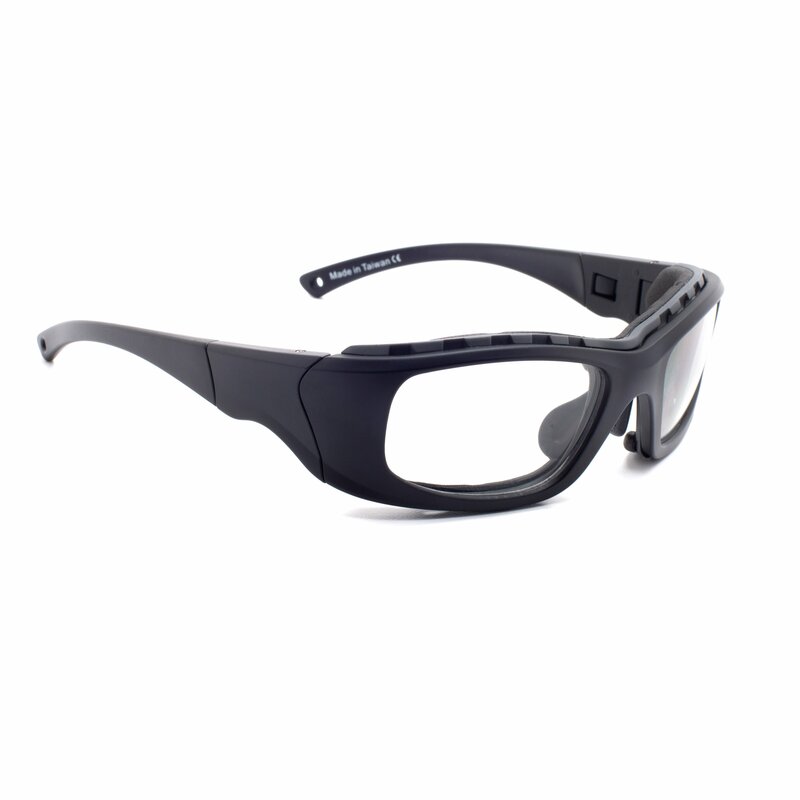 Safety eyewear, as its name suggests, is primarily designed to protect your eyesight. But it can only do so much. As anyone wearing glasses knows, there is still plenty of space for light and/or debris to get past the lens and into your eyes. That’s what a foam gasket is designed to prevent. It’s a lining that goes around your frame and on its inside, ensuring extra protection where regular glasses cannot provide it. In other words, it fills the gap that could in some situations lead to dangerous injuries even if you are wearing safety equipment. With a basic definition out of the way, let’s take some time to look into the exact scenarios in which you might need foam gaskets as added benefits to your eyewear. Here are 6 situations that are especially relevant for this type of equipment, on your job site or for personal use. Chemicals are a near constant hazard at some job sites. Whether you work in a lab or in a factory that can expose them, you need to make sure to protect your eyes. While other equipment like gloves are natural and assumed, the same is not always true for airborne chemicals. You might encounter them in the form of dangerous vapors or gases. They should not be able to get past your glasses, but regular frames often fail to prevent that from happening. Foam gaskets on your frames help to provide that extra bit of security, maximizing your chances of making sure that your eyes remain safe even during exposure. Chemicals have the potential to directly damage your eyesight, but don’t underestimate the potential problems that more ‘natural’ particles can cause. Concrete dust in your eyes, for instance, will cause you to tear up and need to flush your eye sockets. The results of that necessary step could be significant. For starters, you might not have the time to do so. As a result, you might need to stop what you’re doing and take care of yourself. That stops the workflow, and inconveniences everyone involved. But if you don’t take that step, you risk compromising your sight and inducing significant damage to yourself and those around you as a result. The situations in which you might encounter particles like this range far and wide. Any type of construction site, or outdoor area, could lead you to the same conclusion and necessity. When in doubt, opt for foam gaskets. It doesn’t hurt if you don’t need it, but will certainly become crucial if you do. Welders already know a lot about safety, especially for your eyes. This type of lighting emits dangerous rays that require the darkest type of glasses you can find. Welders also often wear masks that prevent sparks from damaging any part of their face, knowing the potentially devastating damage that could result otherwise. But what if you’re not the actual welder on sight? You might be forgiven for thinking that you don’t have to worry about the sparks in that case. In reality, the opposite is the case. Even when just walking past, or working closeby, you could be exposed to the same damages. While you might not need a full mask (check with your company on that to be sure), you will still need protection. The same is true if you work near any kind of fire. You never know when sparks go airborne. If they hit your eyes, even by going past your frames, you could end up with serious injuries and potentially permanent damage to your sight. Foam gaskets ensure that this won’t happen, instead enclosing your eyes in a layer of protection. Construction workers might benefit from foam gaskets on their prescription safety glasses more than most other professionals. That’s because they’re almost always surrounding by debris that could otherwise become dangerous to their eyesight. Building materials give out constant dust that should stay as far away from the eyes as possible. tion workers at any level are exposed to dangers they might not even see. 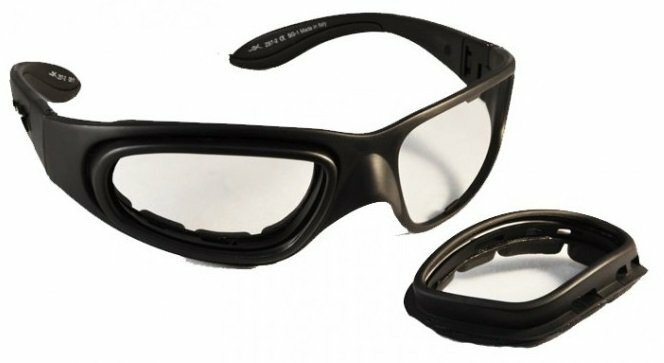 Simply changing your regular pair of glasses to prescription alternatives that include foam gaskets can play a significant role in improving your safety on the job. Don’t underestimate the power of strong winds to impact your eyesight. Again, you will not use your sight if you get some air blown in your face. But you could cause your eyes to start watering, which in turn will lead to less clear sight. You have to take off your glasses, see less clearly, and potentially cause harm to yourself and those around you. Foam gaskets close the gap that the wind could come through. As a result, you will no longer be harmed by strong winds and storms even as you work in difficult conditions. You prevent your eyes from watering and your lenses from fogging up, keeping yourself and those around you safe both directly and indirectly in the process. Finally, any situation in which you might encounter smoke will lead to potential danger if you have to wear safety equipment. And even if you usually don’t, adding a pair of safety glasses with foam gaskets can improve your situation and your protection. Smoke, like wind and dust, is among the biggest reasons your eyes well up and make it difficult to see. Unfortunately, it also tends to find a way to get around barriers and into your eyes. The protection afforded by the foam surrounding your frame ensures that this will not become a major issue, instead protecting your eyes at all times. In other words, any situation in which you’re around fire allows you to benefit from foam gaskets in more than one way. But even if no fire is present and you only have to manage the foam, the same is true. The right protection around your frames can make sure that your eyes stay safe at all times. For the above situations, foam gaskets around your safety glasses are absolutely essential. They provide the security and protection you need to stay safe and avoid becoming another injury protection. And yet, those situations should be the bare minimum. One thing is clear: foam gaskets can improve any type of prescription safety eyewear. They make the frame more comfortable, and increase safety even if you don’t regularly work in the above-mentioned environment. That can only be the case, of course, if you find the right option for your specific needs and preferences. Credibility is key. You don’t want to buy your eyewear from a merchant you cannot trust to actually deliver quality materials. If the foam quality specifically is not good, you might want to look elsewhere for an alternative. With any pair of safety glasses or goggles, you also need to follow OSHA regulations. We’ve covered this topic in this space extensively. Look for official ANSI Z87 certification to make sure that all of your safety requirements and guidelines are met. Finally, don’t underestimate the prescription aspect of this type of glasses. Even with all of the above variables, nothing matters if you cannot see clearly and take your glasses off frequently as a result. Look for a merchant who can build your prescription lenses specifically according to your individual needs and preferences. That merchant needs to be credible and service-oriented. We can do both, helping you find just the right safety eyewear equipment. Whether or not you need foam baskets, you might be interested to learn about their benefits. And because we pride ourselves as much in providing helpful safety information as we do in selling our equipment, it’s well worth a chat. Contact us today to start the conversation.